You know what makes a really cool room? Lighting! 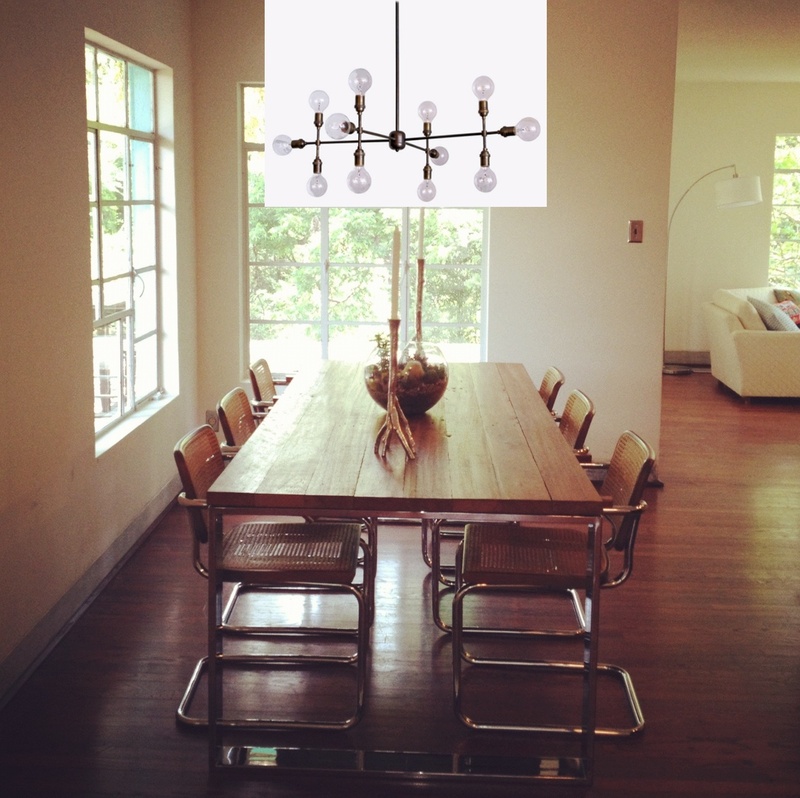 Now that I have a super cool dining table in Aquahaus, I need a statement chandelier above it. I’m thinking something kinda kitschy or industrial cool. 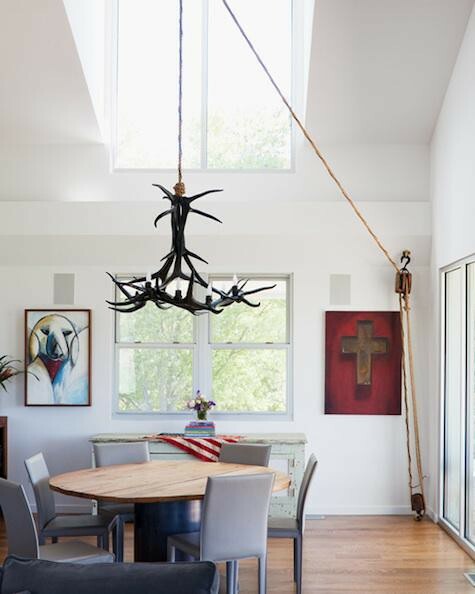 I have always loved the look of antler chandeliers. How beautiful is this chandelier from Roll Hill? 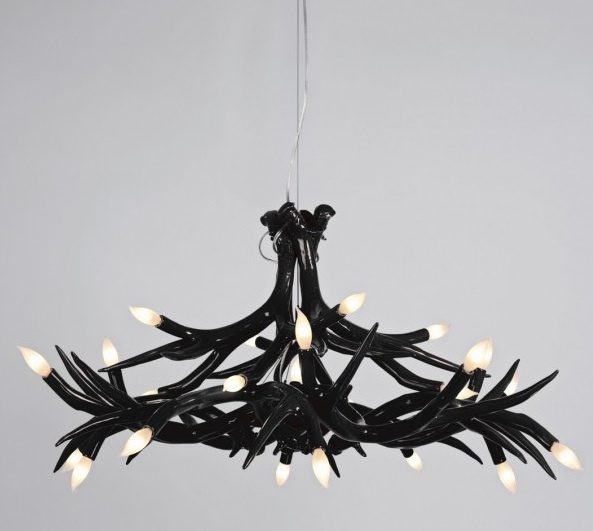 A modern take on the antler chandelier. Too bad it costs more than 2 months mortgage. 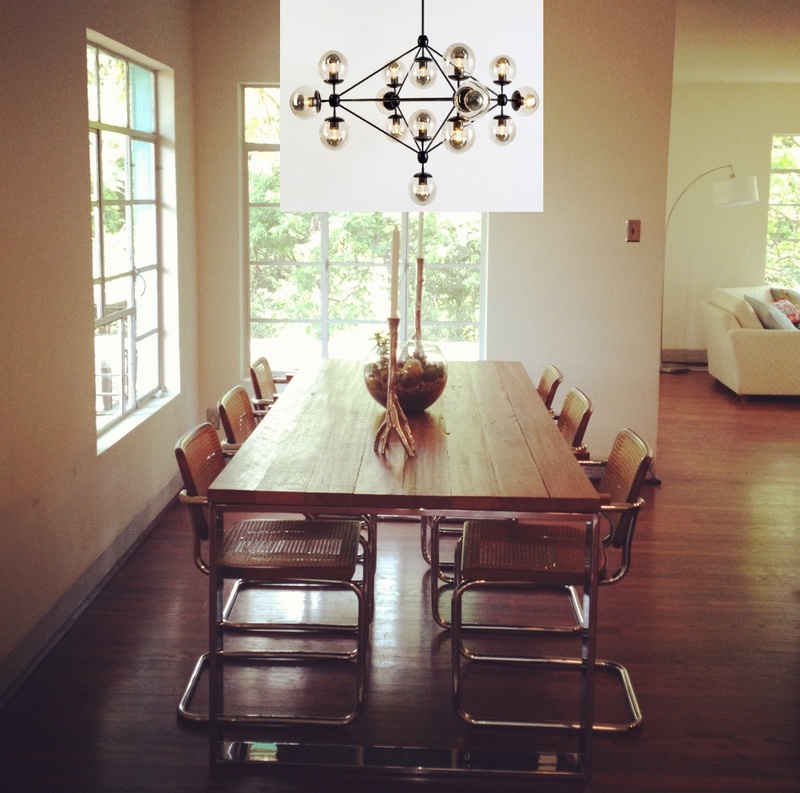 I also love this super awesome chandelier from Roll Hill. So much that I made a fun mock up over the table. Yes, so cool, but so $$$$. Apparatus Studio also has great lighting fixtures that are only the cost of 1 month’s mortgage. So if we got this one, we’d actually be saving money. That is female reasoning. So rad!! Do you like?? Which one?? ← One more reason to cocktail! !